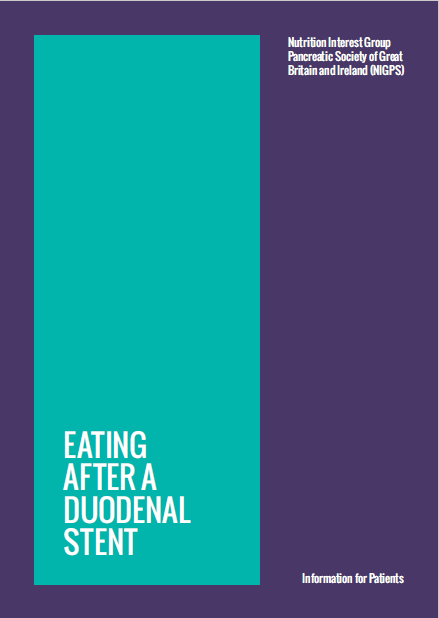 12 page booklet containing all the information you need about eating after you have had a Duodenal Stent inserted. What to expect and what are the best foods to eat and avoid. In conjunction with the Pancreatic Society of Great Britain and Ireland. 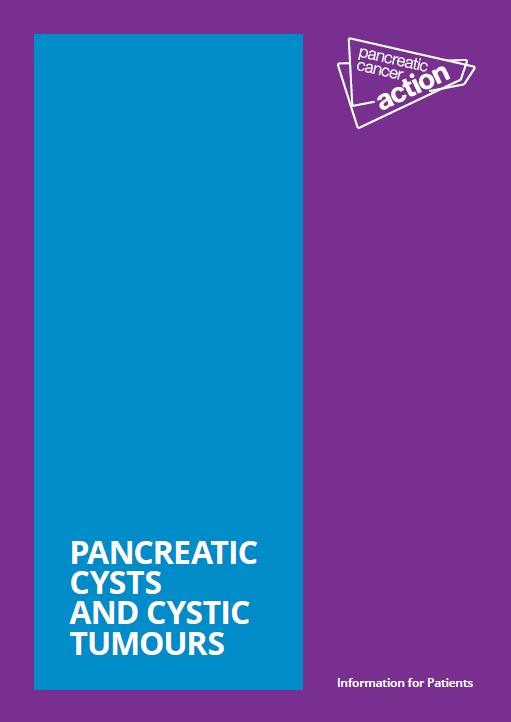 36-page booklet for patients and carers describing the types of pancreatic cyst, their symptoms and risks. It gives detailed information on the diagnostic tests used, the different types of treatment given for both cancerous and non-cancerous cysts. It includes a glossary to explain many of the terms used.